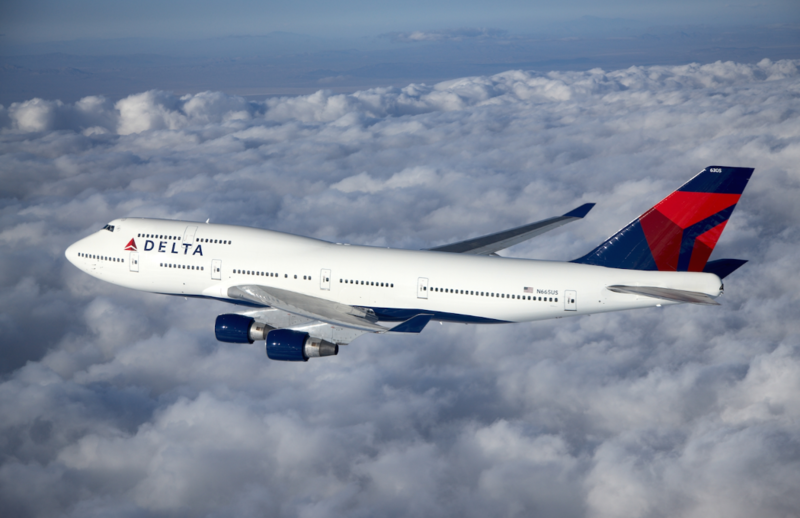 Delta debuts free entertainment. Delta last week rolled out a big perk for passengers: Free in-flight entertainment options on all its domestic aircraft — including two-class regional jets — for flights longer than 90 minutes, and on all international flights as well. Called Delta Studio, the service lets customers in all classes access free movies, TV shows, music and games via seat-back screens or by streaming to personal electronic devices through onboard Wi-Fi … And Delta said it will now allow passengers on international flights as well as domestic to keep using their personal electronic devices from gate to gate. 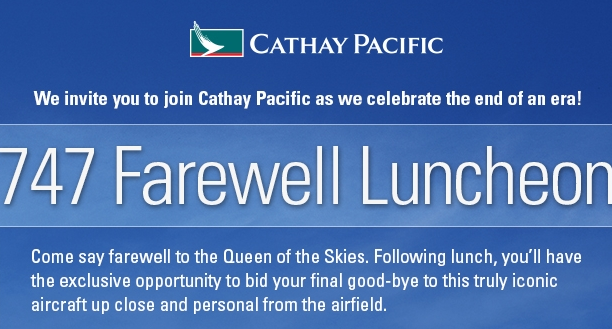 Here’s part of the invite we received from Cathay Pacific to bid farewell to its last 747. Stay tuned to TravelSkills for a full report from the event! United plans hub reshuffling. United reportedly plans to overhaul flight schedules at its Chicago O’Hare, Denver and Houston hubs, compressing arrivals and departures into periodic clusters, or “banks,” instead of spreading them evenly throughout the day, in an effort to boost profitability. (American earlier this year revealed plans to do the same.) The airline is also revising its regional fleet — as are other major carriers — to replace 50-seat jets with larger models, which will lead to the elimination of some smaller markets. JetBlue eyes Boston for Mint service. 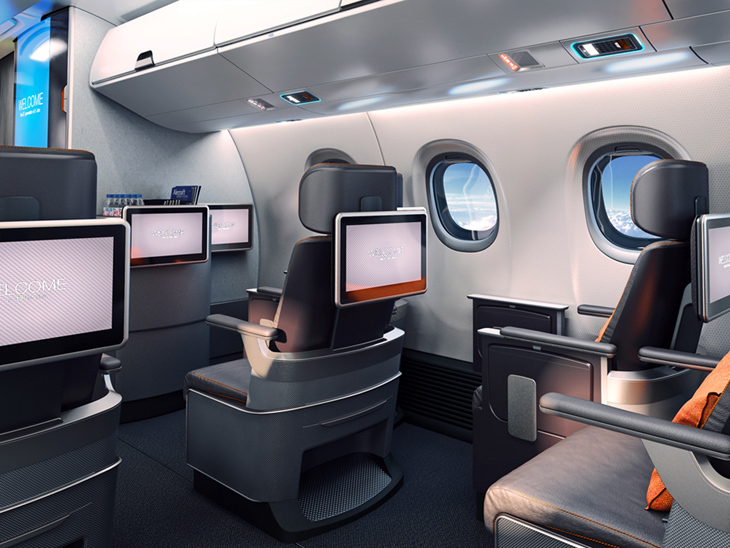 JetBlue has high hopes that its new Mint business cabins on the JFK-LAX route — and starting this fall, on JFK-SFO — will produce so much extra revenue that it will be worth expanding to other transcon markets. And the airline has set its sights on Boston for the first round of expansion. Chief Executive David Barger said it’s “not a matter of if, it’s a matter of when” JetBlue will begin SFO-BOS and LAX-BOS flights with the new premium cabin — which the airline is pricing well below the business cabins of major competitors. A solution to carry-on space wars? In a project for aircraft manufacturer Embraer, a London-based design firm has come up with a new cabin configuration that guarantees every passenger will find a place to put his carry-on bag. The plan also seeks to humanize lavatories with elements like glass tiles, touchless faucets and soft-close doors. United’s sly safety video. Some airlines have started competing to see who can come up with the most creative safety video shown to passengers after boarding, and the latest entry is from United. The clever new UA video puts flight attendants into exotic or unusual locations as they explain the safety procedures. Take a look, and tell us what you think of it. How fast is your Wi-Fi? A crafty new online service called Hotelwifitest offers users an inside look at just how fast their in-room Wi-Fi really is. 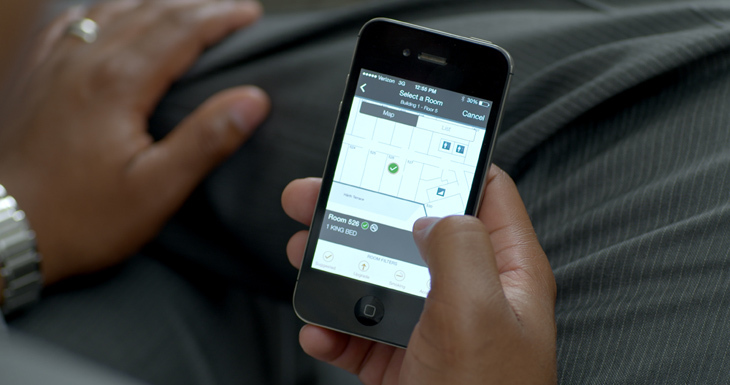 Users can test the connection speed themselves and then share it with the site, which compiles the data to calculate the most likely speed that guests can expect to find after they check in. >San Francisco-based Virgin America finally goes public. Would you invest in Virgin or any other airline? Why/not? 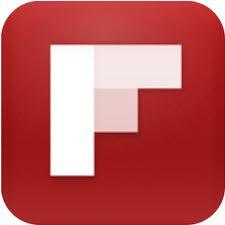 >Strategies: How to catch an earlier flight without paying a fee.